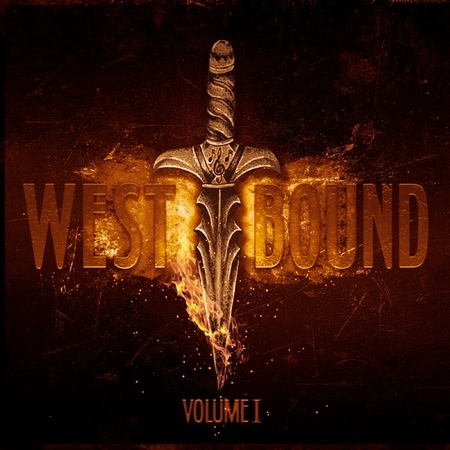 “Volume 1” is the great debut album from West Bound that was released on 22nd February by Frontiers Music. The band was formed by singer Chas West and guitarist Roy Z. West also fronts Resurrection Kings and in the past has sung for bands such as Lynch Mob and Bonham. Roy Z has recorded albums with Bruce Dickinson, Rob Rock and Rob Halford as well as his own band Tribe of Gypsies. The single “Never Surrender” was included on the Friday NI Rocks Show on 21st December and you can expect to hear more from them on the Shows soon. Chas West and Roy Z previously worked together for a time in Tribe of Gypsies and they came together recently to form West Bound. One of West’s most recent releases was the self-titled debut from Resurrection Kings in 2016 – featuring Craig Goldy, Vinny Appice and Sean McNabb. As well as playing guitar for Bruce Dickinson, Halford, Tribe of Gypsies etc, Roy Z has also had considerable success as a music producer and engineer, working with artists such as Sebastian Bach, Sepultra and The Last Vegas. The other members of West Bound are guitarist Jimmy Burkland, bass player Jason Cornwell, drummer Dave ‘Chilli’ Moreno and keyboard player Stephen Leblanc. I read somewhere that drummer Brian Tichy (The Dead Daisies, Whitesnake etc) had co-wrote and played on two tracks, although it isn’t mentioned on the press release. The band delivers a bluesy, classic rock era sound that definitely ticks the boxes for older rock fans like myself and hopefully for some of the newer generation as well.